It can be tough out there to get your hands on a series you’d like to own. 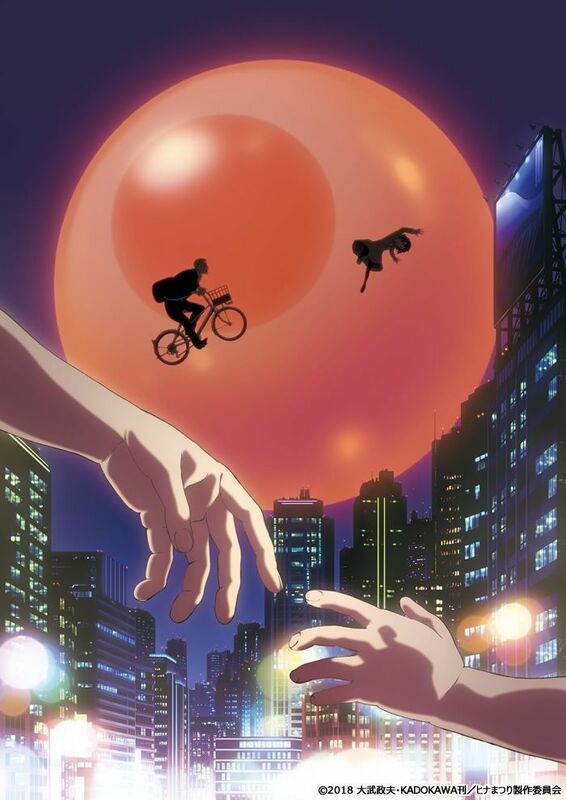 While series come and go on streaming services, generally speaking if there is an anime series you’d like to watch, and it’s relatively recent, you can find it. In contrast to that, if you’re looking to purchase a series you’re interested in, or have previously seen and enjoyed enough to want to own, the prices for disc releases can often be pretty absurd. 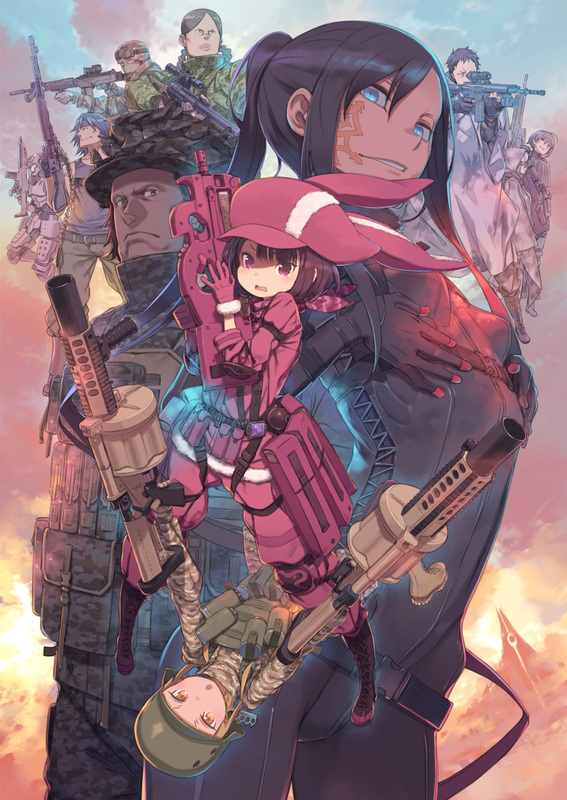 Popular series such as Sword Art Online and Kill la Kill might ask well over a hundred bucks from you to own per season (~12 episodes), whereas series which are more niche such as Strike Witches can be had in their entirety (three, 12 episode seasons plus a full length movie) for roughly the same price. 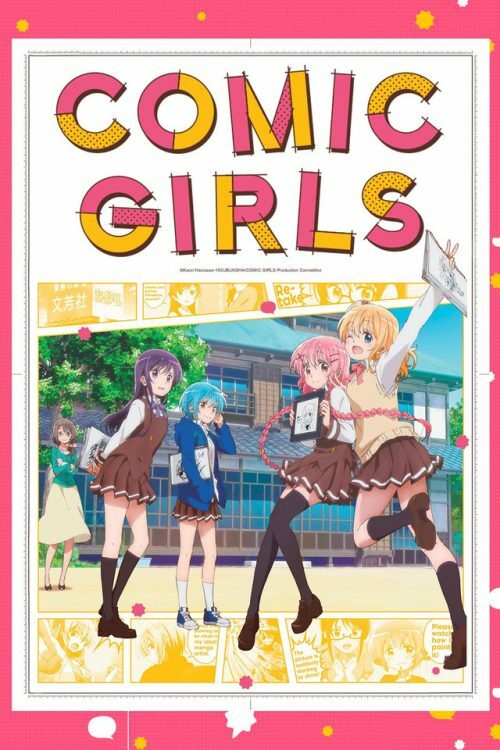 When it comes down to the old concept of supply and demand, it makes sense, but from a dollar-per-episode standpoint from series to series, anime pricing can seem quite absurd. It pays to be into the lesser-known stuff, for sure. Even in the ever-expanding hustle and bustle of modern life, there are traditions to be upheld, and being a witch, Kiki is no stranger to traditions. For witches such as herself, it is customary to leave home at the young age of 13 to find a life and a living out in the world. While her abilities as a witch are admittedly a tinge rough around the edges, Kiki is nonetheless anxious to get out into the world and to find a town to call home. With the promise of a perfect night on which to depart, Kiki and her trusty, if rather snarky familiar Jiji, does just so. However, while Kiki might be happy to hit the world at large head on, life outside home isn’t quick to welcome her with open arms. It’ll take unwavering determination to find the life she dreams of. 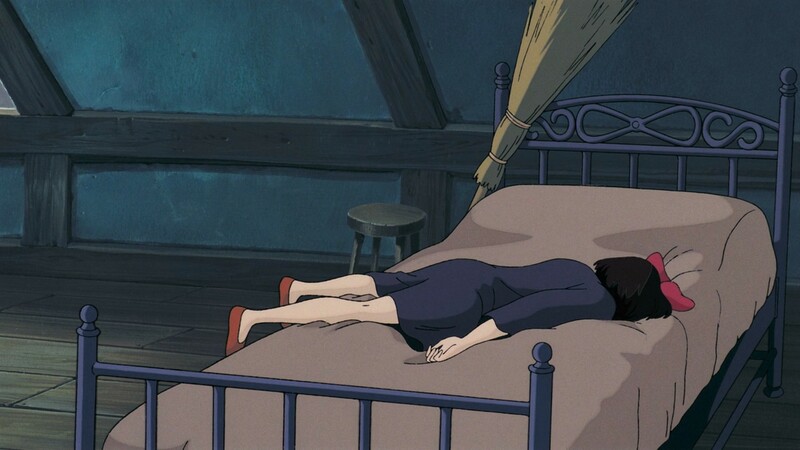 My dark secret as a person who consumes anime is that I’ve watched very few Studio Ghibli productions. 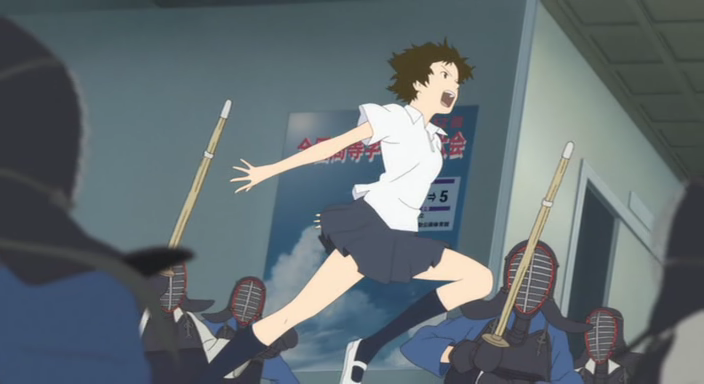 Sure, I’ve covered Hotaru no Haka on here in the past, and back during high school I recall seeing Spirited Away. Aside from these two, I’m at a loss. And to a degree, covering these movies seems a bit unnecessary. 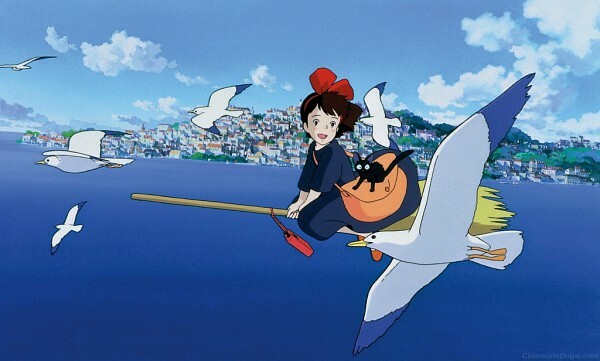 There seems to be this sort of unwritten rule that states that “It’s a Ghibli production, so of course it’s great.” This is evidenced in the opening moments of Kiki’s Delivery Service; the production is just superb, and there’s just this perfect, almost indistinguishable aura of joyous warmth and tangible sense of place nestled in there. The ability for Kiki’s story to step from moments steeped in silence to ones swelling with boisterous musical swells is outright uncanny, and draws you into the story wonderfully. 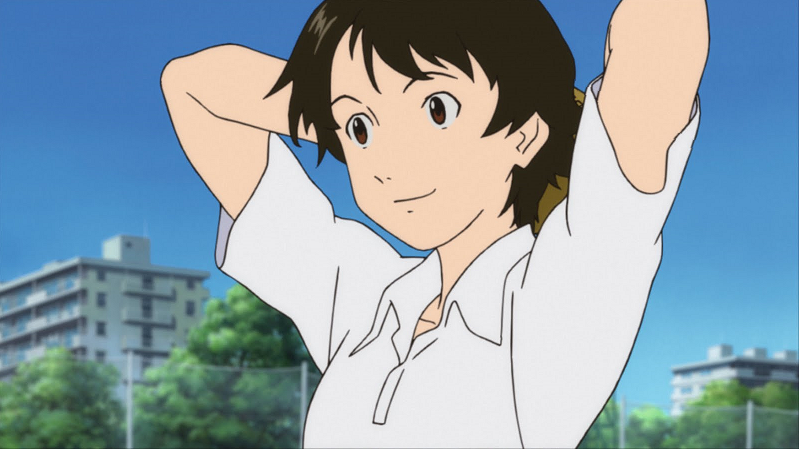 Her tale isn’t overwrought with hardship, but what is there is felt, and seeing the methods with which Kiki utilizes to overcome her obstacles is engaging throughout. The quality of the visuals is also not to be overstated. This carries through from the start of the film, with Kiki’s mother’s shop drenched in meticulous detail, to the sweeping green plains and open blue skies of the outside world. As what is becoming an older film these days, the trademarks of cel-based animation are evident; “actor” objects are generally less detailed and use colors which stand out more, cueing you into what parts of the scene will move at some point or another, but this is no real detriment to the experience. 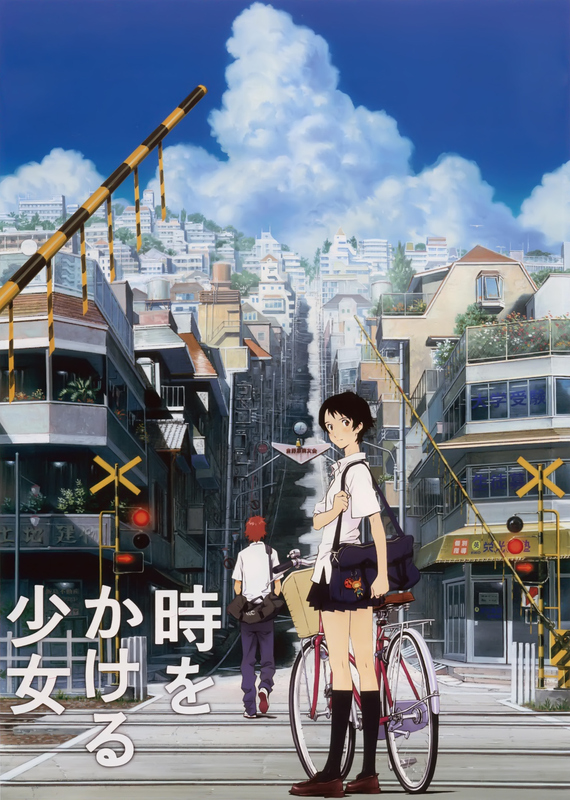 Kiki’s story itself is modest; there is no big bad guy to beat here, nor any real overarching goal other than to survive and be happy, but there are themes expressed in the happenings of the narrative that are worth considering. The idea that society is cold, but a single member of society can be warm and inviting; the sense that kindness and respect has a greater benefit than shunning one another; that life isn’t about the world welcoming you, but you finding your place within it. There is a lot to absorb, I suppose I would say, between the luscious visuals and the number of themes at play in the narrative. This is a film which might be enjoyed for a number of reasons. Whether it’s a bright tone you’re after, a small cast of instantly lovable characters, or a vibrant backdrop for rumination on topics which are just as valid in today’s world as they were decades ago, this is a film which I’d be foolish not to recommend. 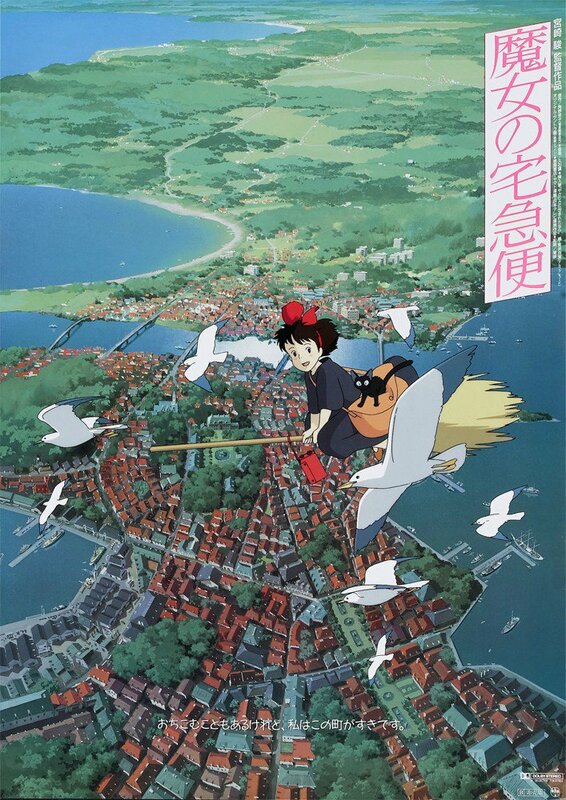 Majo no Takkyuubin is a bright and endearing coming of age story about a little witch in a big world, and the trials one goes through to find their place amid the everyday demands of modern life. As I mentioned above, work has been consuming me from the outside in for the past couple months. The light is on the horizon though, if we can just get there in one piece. I wish there were more of an update for me to offer; videos are on hold, and I haven’t even been keeping up on currently airing anime. It’s just work, (sometimes) sleep, work, (sometimes) eat, work, repeat. Here’s looking to getting back into the normal routine soon! えぇ? Summer’s gone? While there is an undeniable charm to the death of Summertime, and the temperate weather and orange leaves it brings, the looming threat of cold weather isn’t something I’m welcoming with open arms. 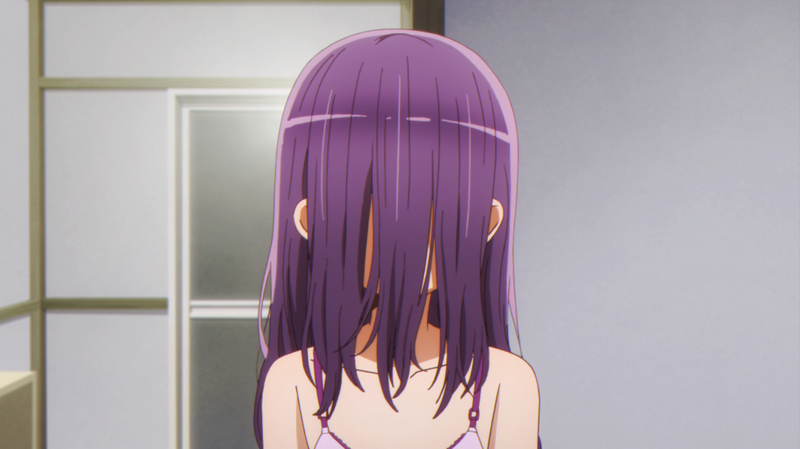 It’s fun to look at a character in an anime series and decipher what it is about that character which catches your eye. Especially when that character might be part of a series you don’t otherwise care for, or when it’s a character which doesn’t start off as anything particularly special. Sakura Kyouko from the Madoka Magica series is one of my all time favorite characters. Coming from a broken family, and having what at first comes off as a blunt, realist personality, there are aspects of the character which speak to someone such as myself, whose family has become estranged over the years, and who has few friends, but would split the world for them. Then there are the characters which simply exhibit traits you appreciate, without being similar to you in any real way. 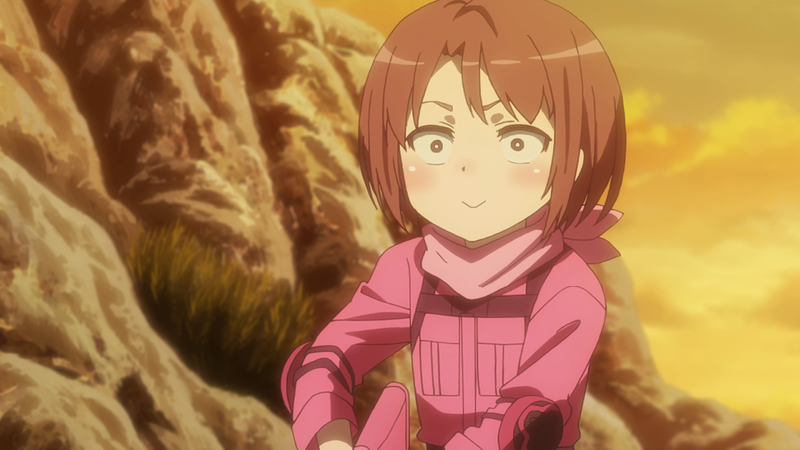 Miyafuji Yoshika from Strike Witches is a standout character to me, and not only because she’s a chipper, determined character in a series based around pantless girls fighting alien machines, but mainly because of her selflessness in protecting the things which matter to her. This is an appealing trait to me, because I feel as though people are, by nature, quite selfish, and watching this character’s willingness to suffer for the greater good can be awe inspiring. 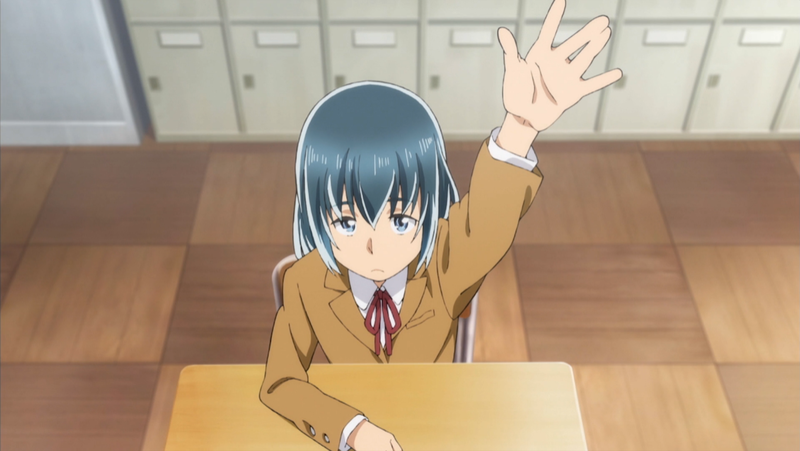 Yukimura Aoi is a dependable and fit, though rather shy highschooler whose primary interest outside of her duties as a student and part timer is mountain climbing. 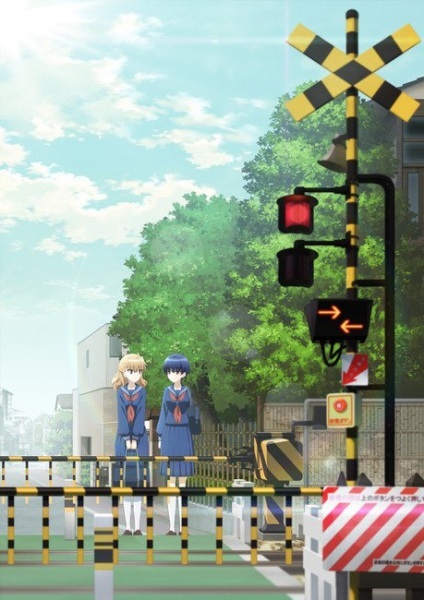 Introduced to the activity by her friend Hinata, the two have tackled numerous challenges in the past, and while arguably the most important one got the best of her, Aoi is determined to see it through next time. As time goes on however, and Aoi’s social life begins to improve thanks to Hinata’s efforts, the two feel themselves drifting apart. Could this mean that the days of enjoying gorgeous mountainsides and the feeling of overcoming challenges with one another are numbered? 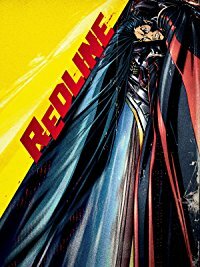 It has been fun to watch how this series has changed over its much welcomed follow-up seasons, after that first, while promising, was quite short, and as such couldn’t accomplish much with what it had. 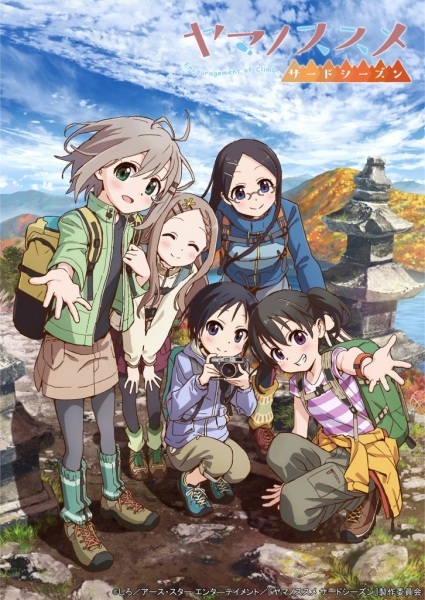 The first was our introduction to Aoi and friends, the second I thought, was pretty straight-faced in its depiction of the act of mountain climbing as a hobby, and this third season focuses much more on Aoi and Hinata’s friendship. 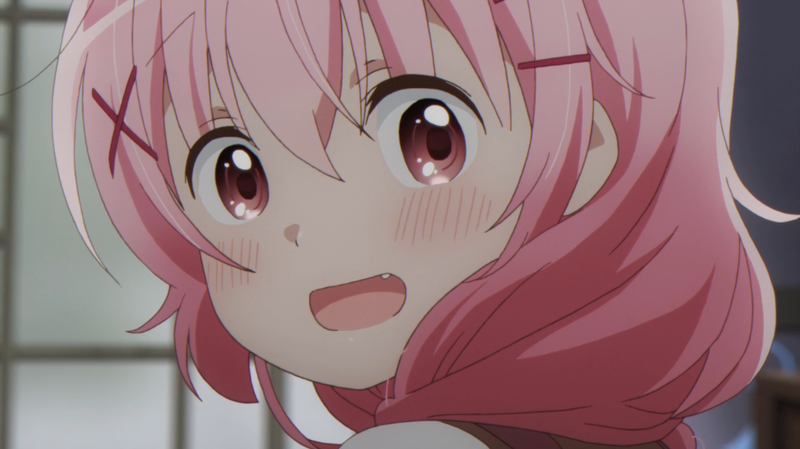 For a series as cheerful as this one, it’s difficult to go into troubles such as the ones this season presents and expect them to be solved in a way which leaves anyone less than happy, but thankfully, perhaps due to each episode’s run time of around half that of a full length anime series, we aren’t belted over the head with melodrama to the point at which it’s a detriment to the overall tone of the series. The second season presented a goal which is built up to but not overcome here, but this doesn’t mean that the road between here and there is no less enjoyable or satisfying to watch. 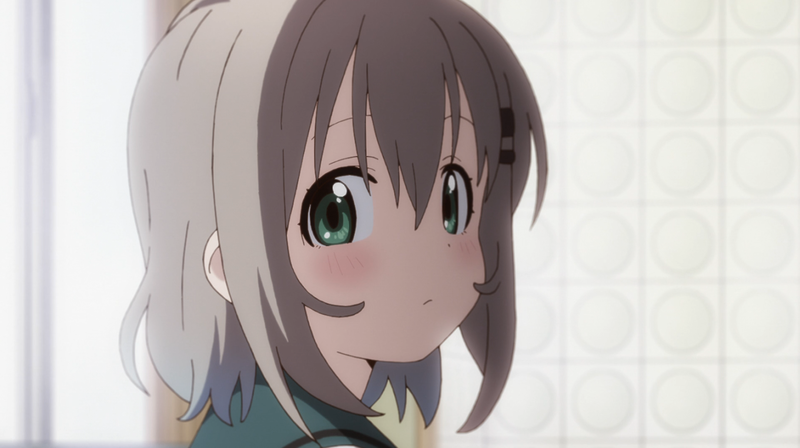 The Yama no Susume crew is a lovable bunch, and they can put off climbing the one that got away for as long as they like if it means we’ll have more of this series to come. 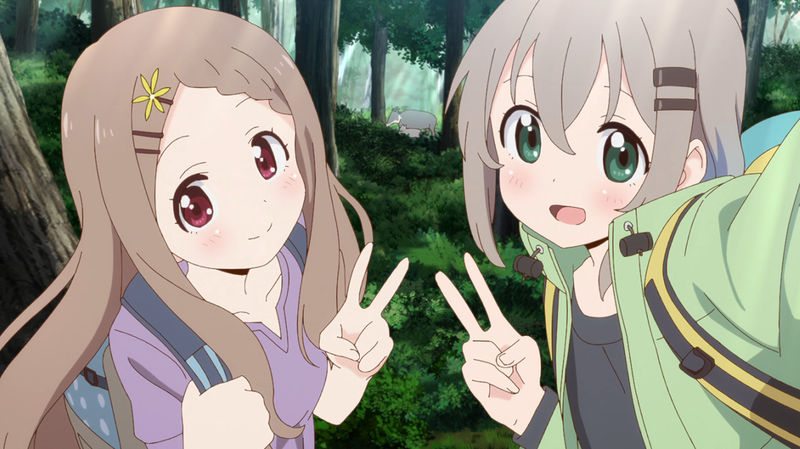 Yama no Susume’s third offering isn’t here to close the book, but rather to set sights on the future while offering a closer look into Aoi and Hinata’s friendship. Honda Hanako is an energetic young woman from a well-to-do family, and whose fashion sense can only be described as ‘impeccable’. Olivia is a golden-haired beauty with a much-less-than-beautiful aroma, and despite her foreign appearance, doesn’t know a lick of English. Nomura Kasumi is a short-haired, bespectacled bookworm whose own literary skills include the authorship of stories consisting of the lost art of BL. Their goal is to ensure the betterment of mankind through passing the time in any way they see fit. Comedy is a subjective thing, and even when something jabs at your funny bone and strikes true, it can be difficult to do so consistently. 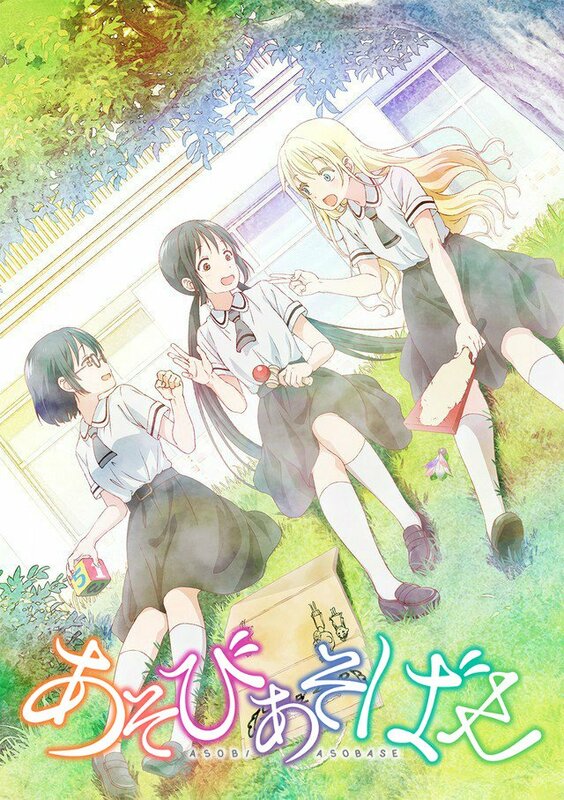 Asobi Asobase doesn’t overcome this problem, but it nonetheless manages to be just absurd enough to leave a lasting impression. It takes a little while to get there, too. I was a bit worried early on in the series, as the scenarios and gags sort of fell flat, and while the enthusiasm and delivery was there on part of the voice cast, the humor simply wasn’t. Sticking with it was a good call though, as some of the nonsensical things Olivia and friends get into are an absolute gas to watch. 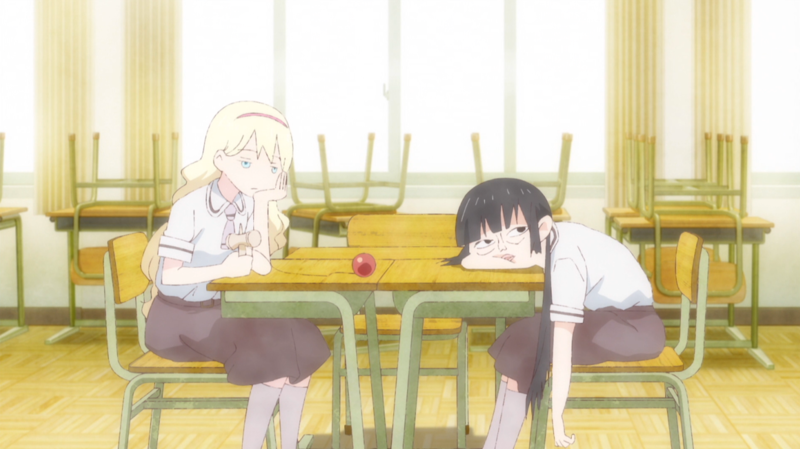 From body humor to fourth-wall breaking to the just plain weird, Asobi Asobase goes places come the end. 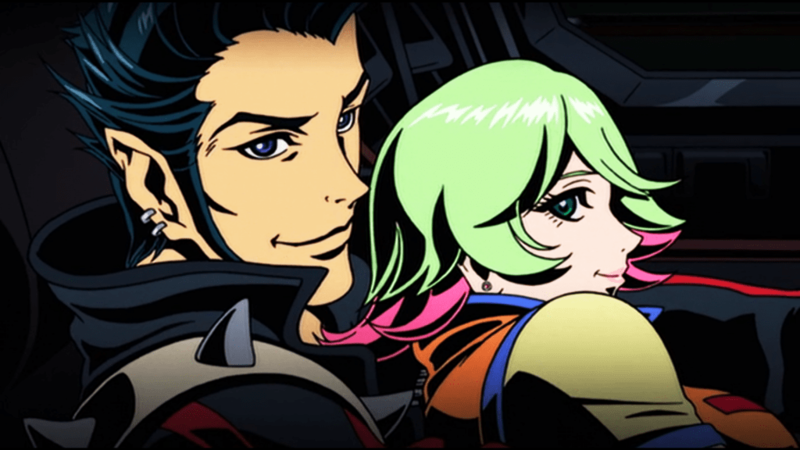 The series has a simple but effective look about it, and while both its OP and ED are entertaining in their own ways, that OP song is an ear worm which will burrow into your subconscious and won’t let up. Watching new episodes at the start of the week had it stuck in my head at work for the days following. For as often as Asobi Asobase whiffs on its comedic delivery, there are situations which more than make up for it with their absurdity. This series doesn’t stick the landing on each gag, but the ones that get you, will leave you laughing end over end. An injured man who finds friendship in his fellow hospital patients. A man who receives an unexpected message from the wind. Two brothers who make a contest of climbing a very tall tree. A mother who is late to pick up her child from day care. 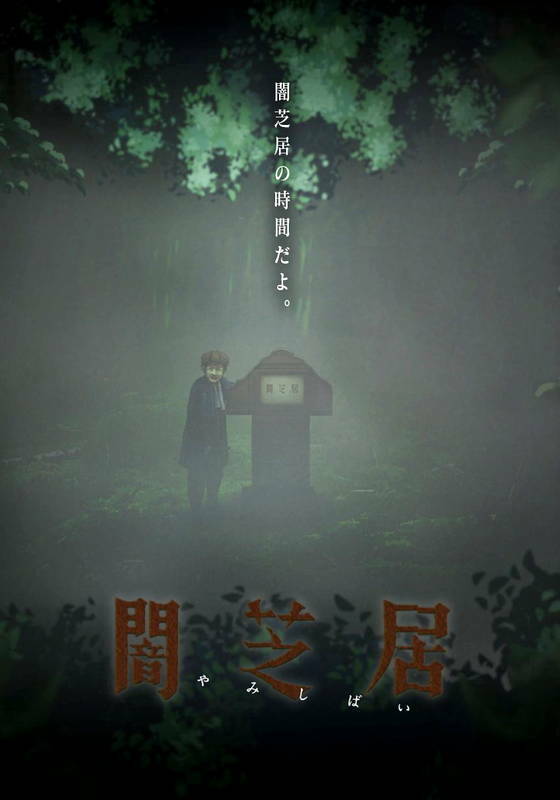 These are but a few of the collection of macabre tales told within this season’s helping of Yamishibai. Won’t you gather around and have a listen? It feels like it has been a long road with Yamishibai at this point. Without taking the time to look it up, I could only guess as to how many years ago that first season was. 2013, was it? There have been missteps here or there, and the stories in this sixth helping of episodes aren’t without their weaklings, but it has been an enjoyable series thus far, and the same is true with this season. The episodes have a slick look to them, having just enough animation to get the motion across while still sporting the paper doll style you’d associate with a series styled after kamishibai plays. Horror is difficult to begin with, and especially when each episode is less than five minutes long, there simply isn’t the time necessary to build suspense. Because of this, sure, there aren’t many good scares to be had here, but these small stories are fun to watch regardless, because you never know what sort of strange scenario will be thought up next, and while I’d say that most of the twists are perfectly predictable, there were a few which I certainly did’t see coming, with one in particular which sort of bends the genre around in an unexpected way. Yamishibai Season 6 probably won’t be keeping you up at night, but its tales may still draw you in with a surge of morbid curiosity. The dreaded cold is on its way, which means it’s video game season. 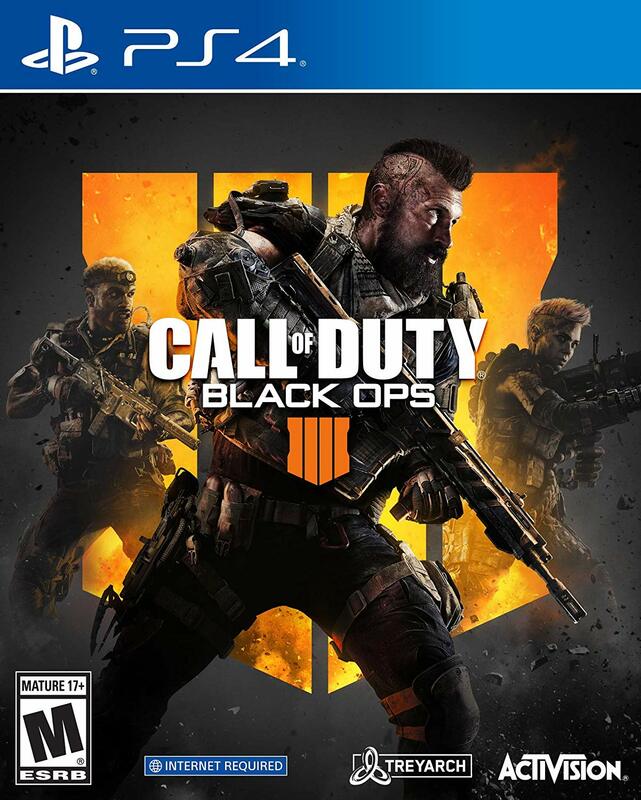 If it kills me (and at this point, it might), I will have both a written review, and later on, a chill and chat for Black Ops 4. 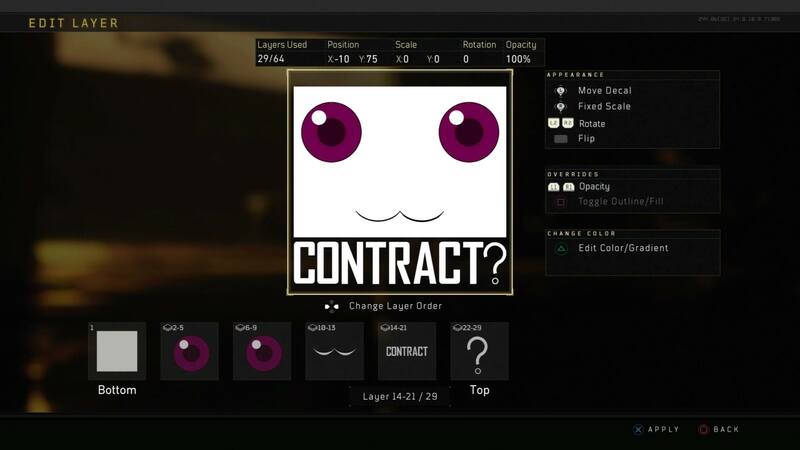 A move is planned which ridiculously enough directly coincides with BO4’s release date, and who knows what the internet situation will be like during that weekend, but have no doubts that it’s high on the priority list. I would have had a video talking about the Blackout beta, but I came down with a seasonal sickness recently and it has left me with an obnoxious cough. By the time I’ve recorded something at this point, the game would be out, so I’m not going to bother. October means spookiness, and I’ve the longest list you can imagine for things I’d like to do regarding video projects. It’s so much, though… there’s so much going on. No promises, but believe that I so, so want to do fun stuff. That’s all for now though! Enjoy what lingers of that warm weather while you can. 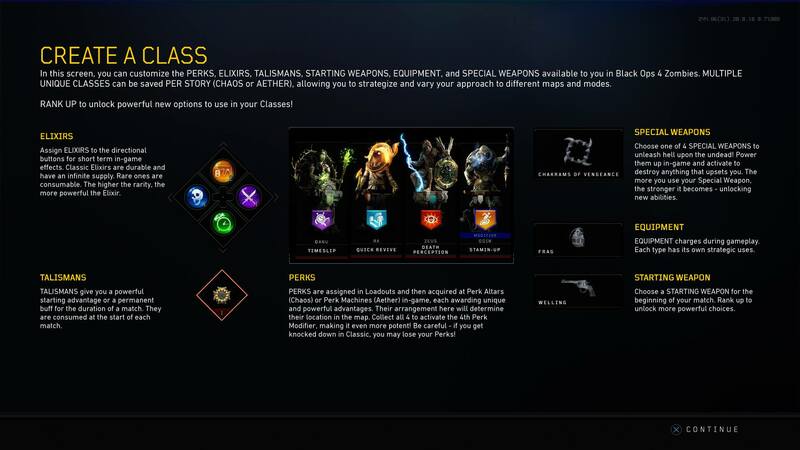 I know I’m not taking it for granted in the least. Soak in those last few rays and keep those stories unspoiled, yeah?